We loved being part of the Target Rifle Victoria Junior Championships, held at Melbourne International Shooting Club! It was tshirts/lycra vs leather, and excellent match experience for biathletes, who went up against their more experienced opponents in the traditional summer sport. Podium placers were very pleased to receive medals from 2012/2016 Olympian shooter Keith Ferguson. Many thanks to Target Rifle Victoria and Melbourne International Shooting Club, we are looking forward to the next event! Full report in the Target Rifle Victoria September newsletter at: https://www.trv.org.au/TRV/newsletters.php, pic thanks to TRV. 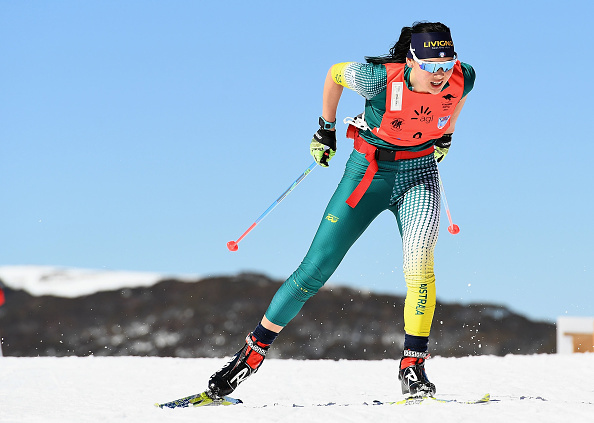 “Sunday was out on the 50m ranges with Prone first up in the morning which included four Biathlon shooters competing as part of the Championships and was great to see that both Jethro & Gabby Mahon made it into the final as well. Alex Hoberg had the top score of the Qualification series with a nice 609.4 followed by Michael Davis on 603.0 and Laura Crozier (Kyneton) finishing in 3rd with 595.3. The finals commenced at 11am with introduction of the 8 finalists (which included a mix of females and males as well as Biathlon) then commencing with 2x 3 shot series and then 2-shot series deciding placings from 8th to 1st. It was great to see that all the juniors stayed around to support their fellow supporters as well as the small spectator crowd that was there. Unfortunately Alex had a bit of a malfunction during his 2nd series of 3 with an empty cartridge jamming in his bolt which gave a few misfires and wasn’t able to get 3 scoring shots away as he would have been in contention for a Top 3 spot. Congratulations to Rachel Strik (Benalla SBRC) who pulled out some big shots during the final with 10.9 & 10.8 which helped her win the final by 2.2pts from Michael Davis.